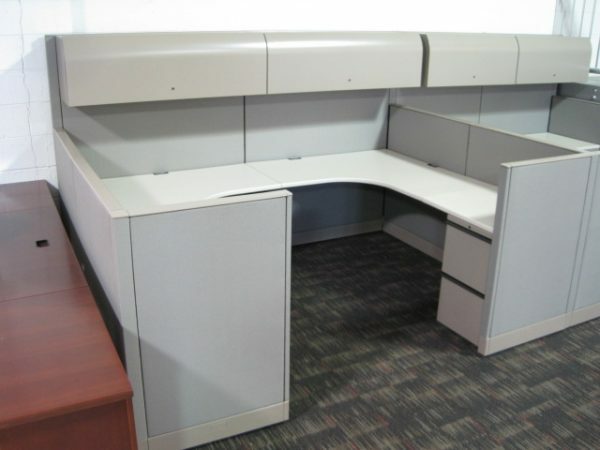 Knoll Morrison 8×8 workstations, with high-low panels. Belt-line power and voice and data connections. Optional storage cabinet. Mobile BBF pedestal. Gray paint trim with beige fabric. Product is in good working condition.